Relinquish the control of your life and the lives of those you love, and let Me control everything, says the Lord. Unburden yourself. You know what the results are when you give Me your cares and then pick them back up again and walk out of My presence just as heavy as you were before. Let GO of them! If they were heavy before when you laid them down, do you think that they will be lighter when you pick them back up again? Once you give them to Me, then trust ME to handle them as well as you and those you love. How much do you trust Me, I ask? Do you think that your limited knowledge and wisdom and understanding can get the job done? Why not trust My infinite knowledge? Why not trust in My presence in all of your life? Why not believe that I will take care of everything that you give to ME? Believe that I will take care of everything pertaining to your life and I Am on task on your behalf, says the Lord. I want you to completely trust Me. Trust My timing. Don’t be in such a hurry. Your times and seasons are in MY hands. I know the way that you take. I will order every step of the way. I will leave nothing undone in your life. I will not forsake you. I will provision you. I will lead you. I will even carry you on eagle’s wings. TRUST ME NOW! 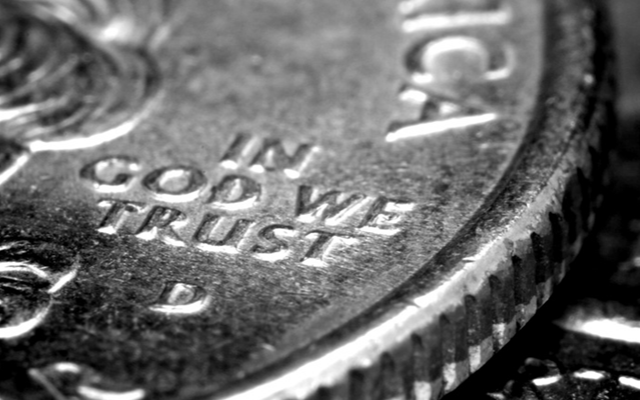 Fretting and wringing your hands is NOT trust, says the Lord. When you trust in Me, you have peace. You will rest in My love. You will believe that I Am with you, on your side, hearing you, understanding you, and actively helping you. You will have complete confidence in MY WAYS and MY timing, says the Lord. I want you to enter into My rest that I have for you, as you cast all of your care upon me, shift all of your burdens upon Me and allow Me to sustain you now and always. When you do, you will know that what I have promised you, I Am good for it. What I Am, I will be in you! Believe and allow Me to work while you come as a child in total faith that I Am your EVERLASTING FATHER and the PRINCE OF PEACE in your life, and you do not have a thing to worry about. Just come and eat and drink at My table in My presence and come under the shadow of My wings, and receive of the things that I freely give you. It is all bought and paid for by My finished work on the cross and My shed blood for you. Believe and receive everything that belongs to you and allow yourself to enjoy your full entitlement as My child, says the Lord.